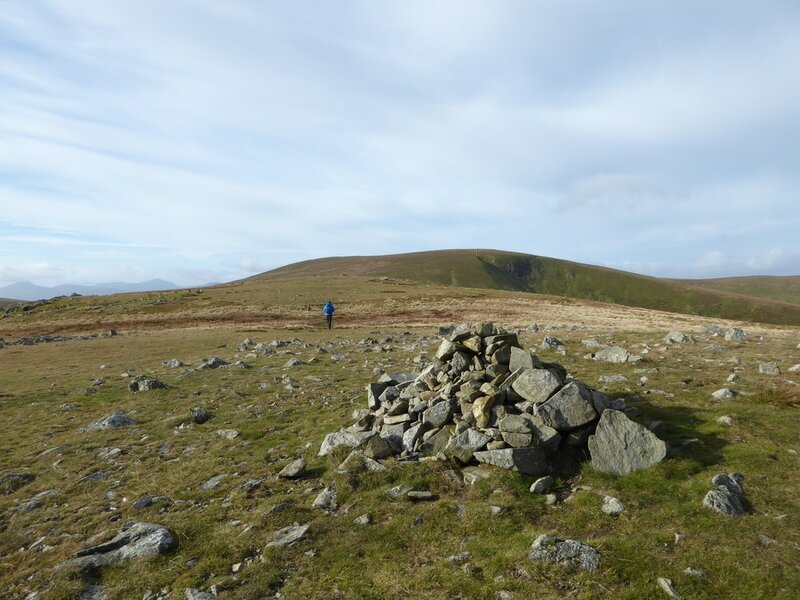 Mountain paths both stony & grassy. 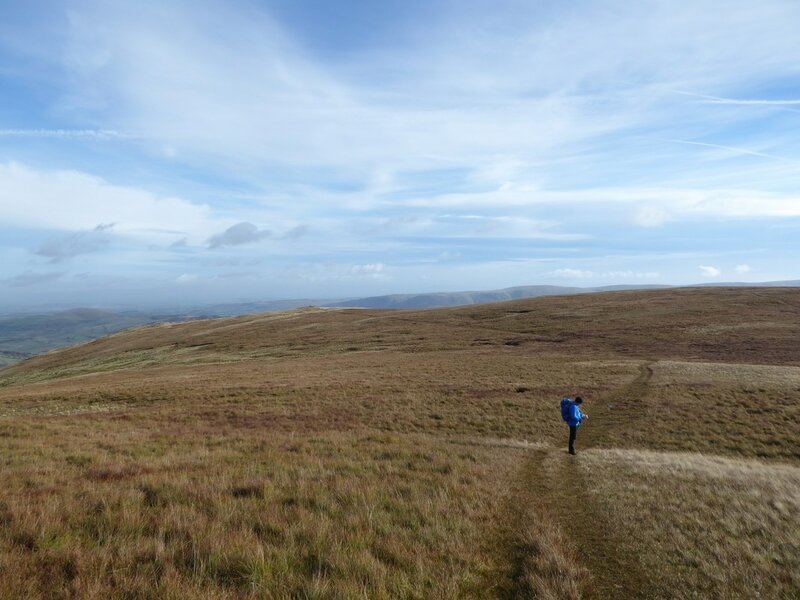 The conditions underfoot were good although the path from Dowthwaitehead to the wall turning for Birkett Fell was boggy in places. 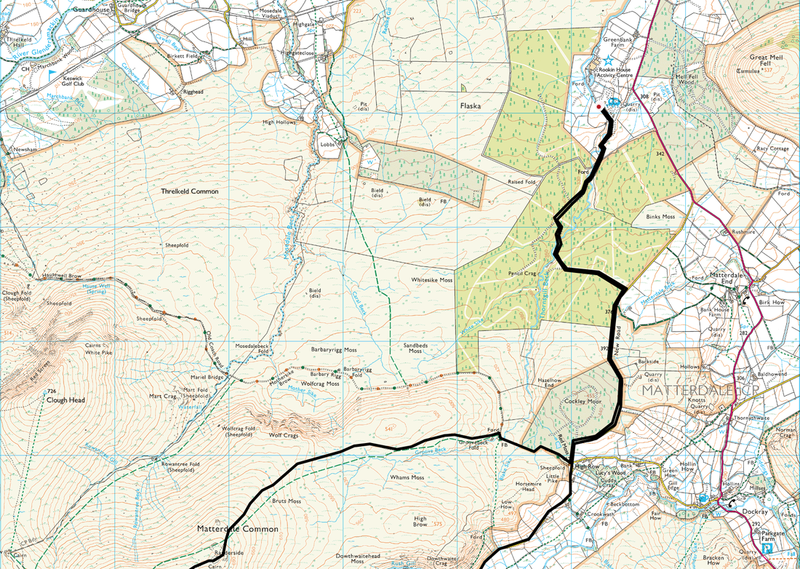 The path from Randerside to The Old Coach Road was also intermittently boggy. 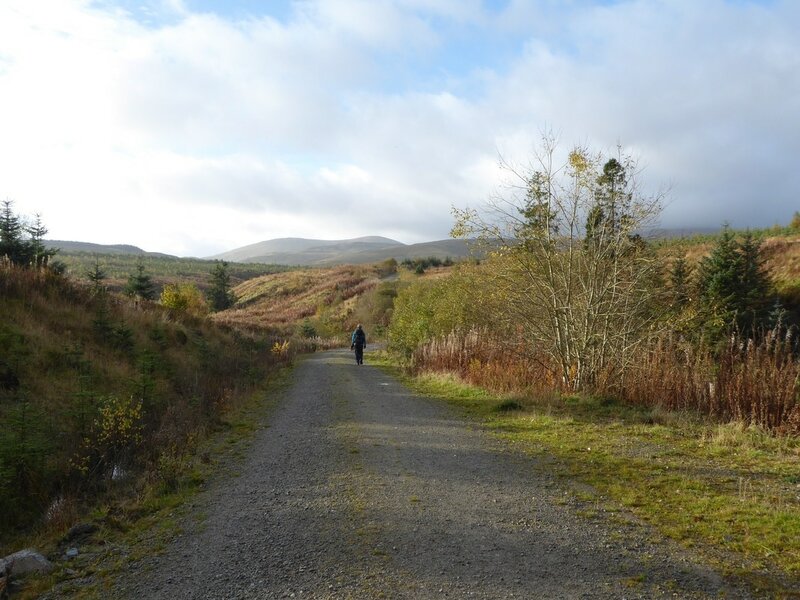 Mild & overcast with some sunny spells. 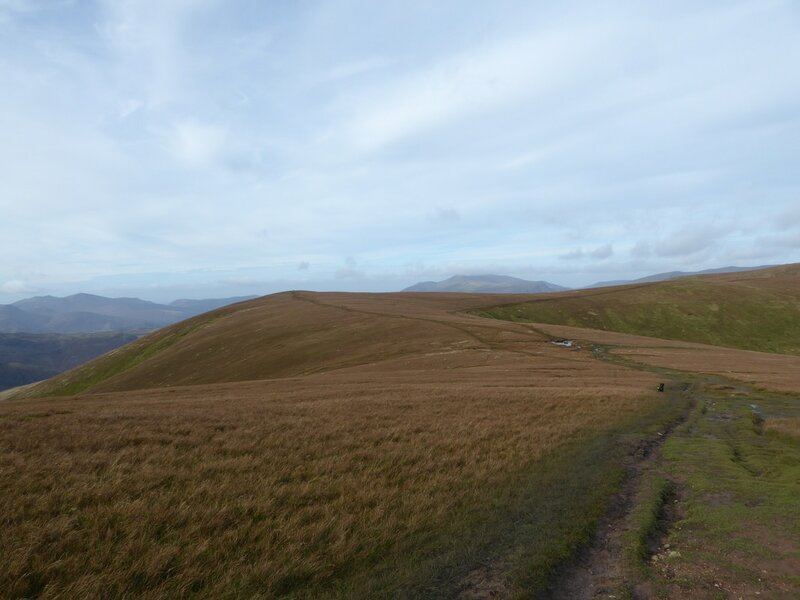 Visibility generally good. 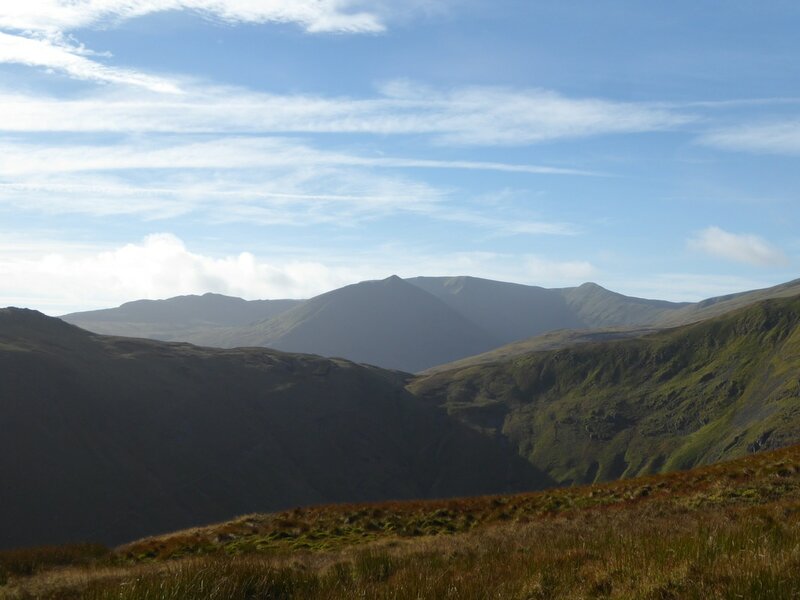 The superb airy ridge from Helvellyn to Clough Head provides some of the best walking in the Lake District. 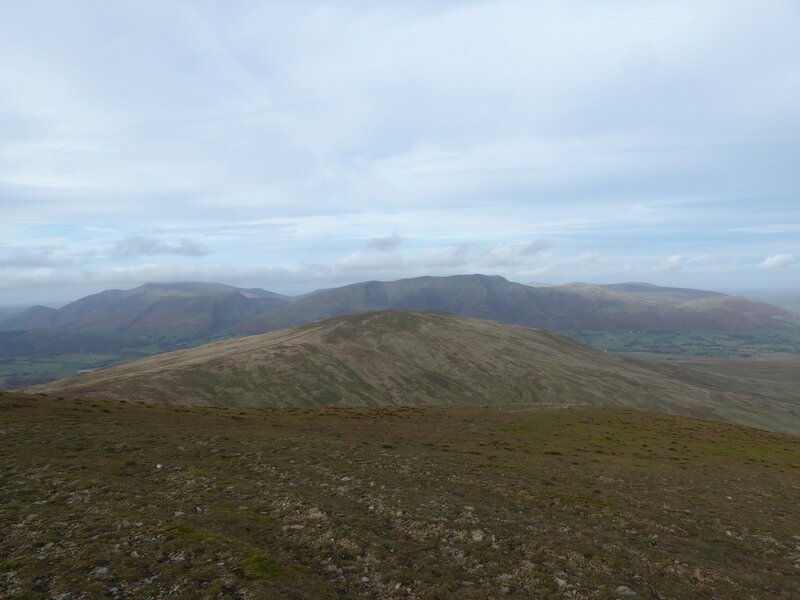 In the middle of the ridge sit The Dodds (Stybarrow Dodd, Watson's Dodd & Great Dodd) - three summits that provide a switchback route which are normally combined with Calfhow Pike & Clough Head to enable a superb Horseshoe from High Row near Dockray. 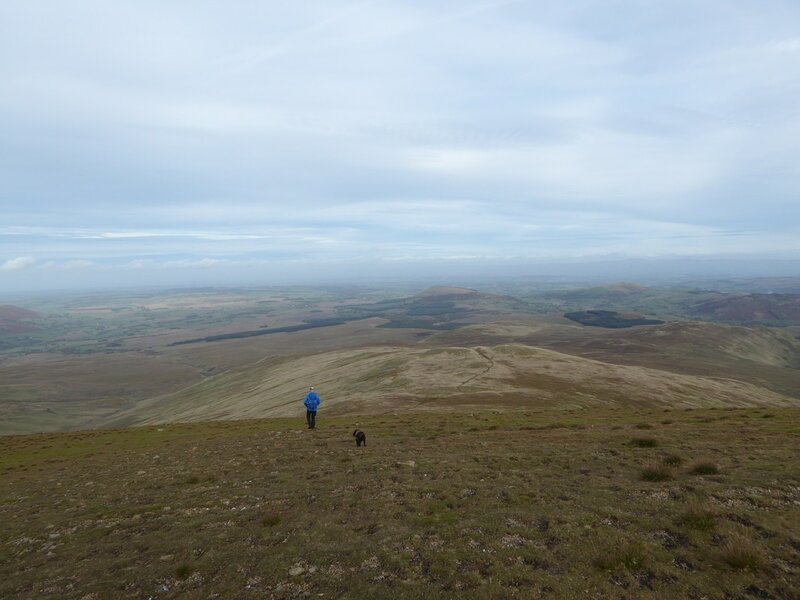 There are many ways up on to the ridge but once on the top some fantastic high level walking can be enjoyed. 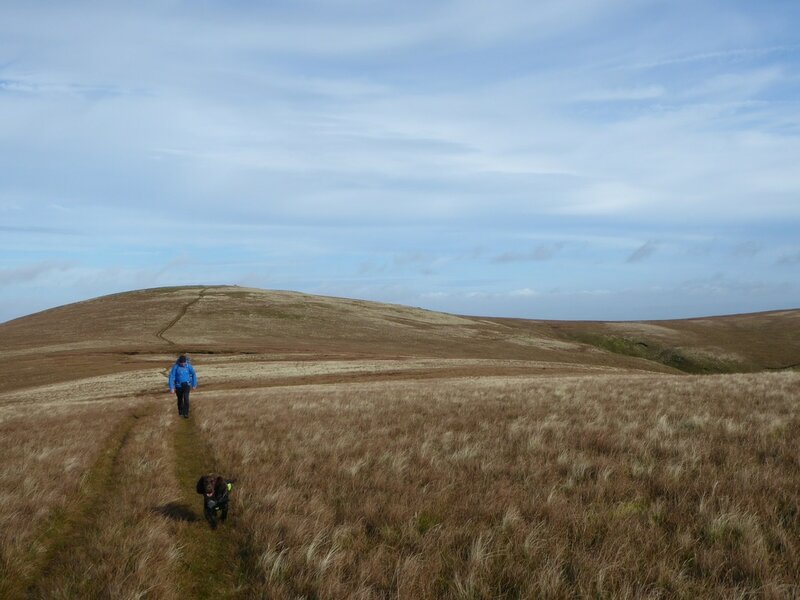 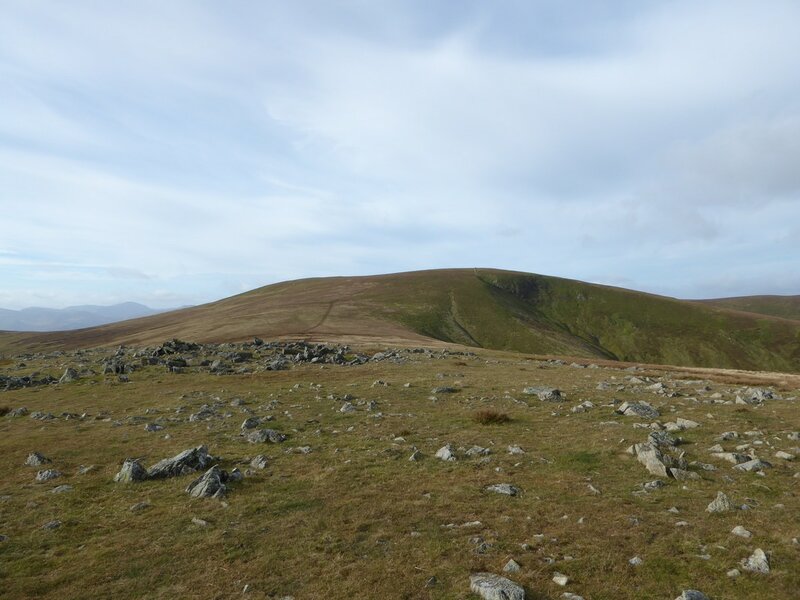 The paths are mostly grassy swathes that sweep from summit to summit and the views on a clear day from all 3 peaks are excellent - this is ridge walking to be enjoyed and savoured. 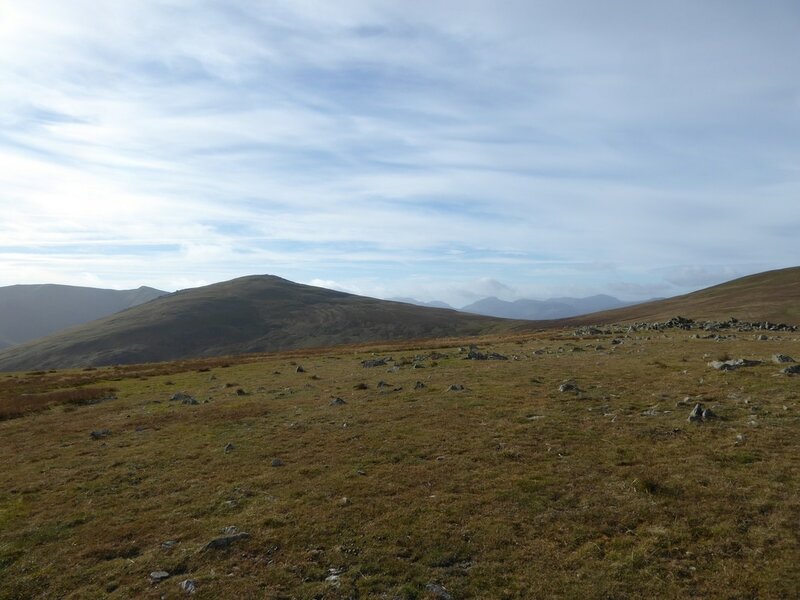 We have been up on The Dodds many times and always enjoy the solitude that they provide. 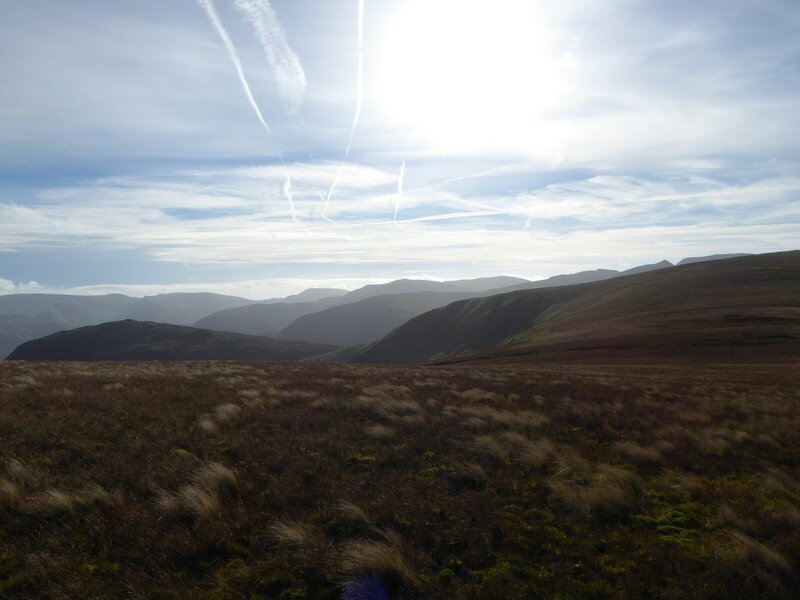 Despite their appeal, they never seem to be busy fells even though the walking and views are fantastic. 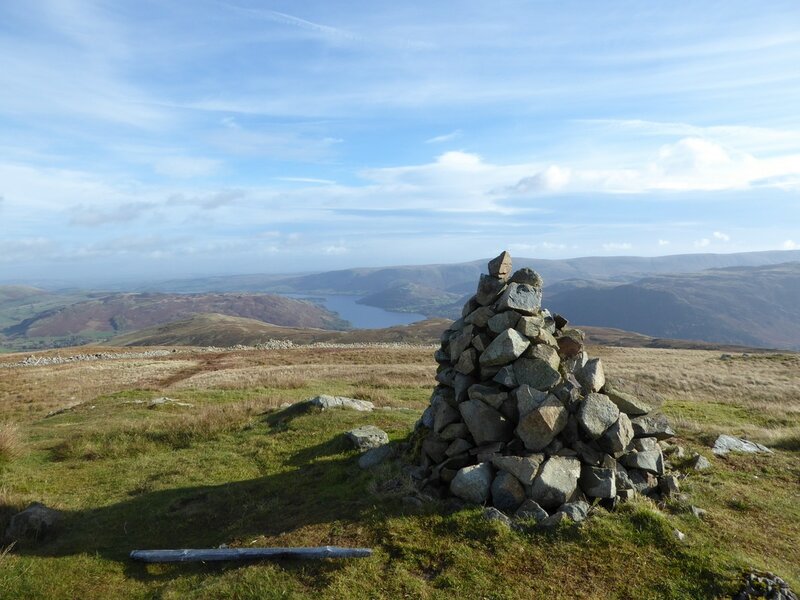 We were staying in Troutbeck Head therefore decided to do without the car today and walked from the door - it would add just over 4 miles on to the route but what the hell - it was a nice day and what better way to spend it. 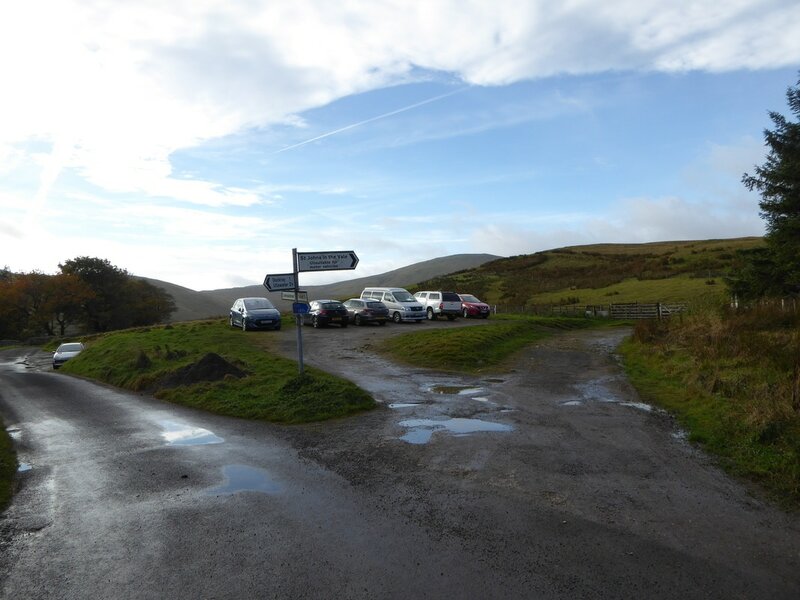 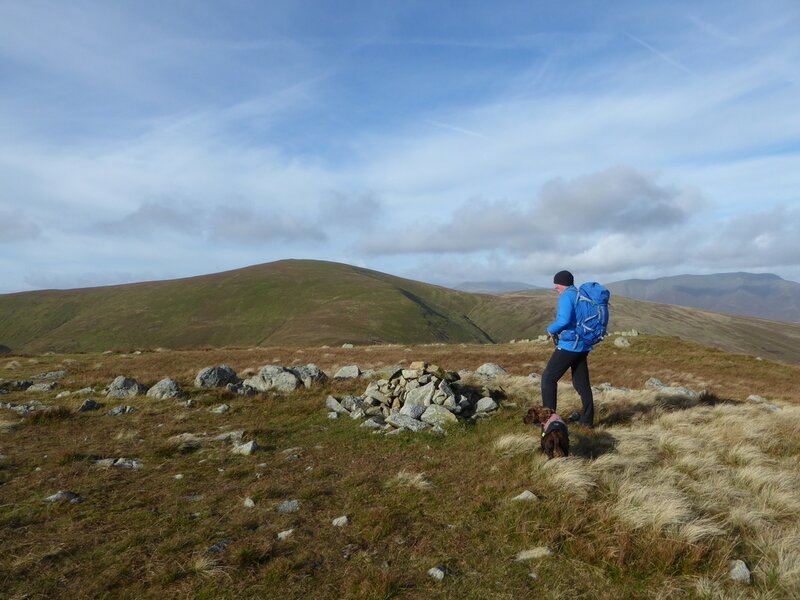 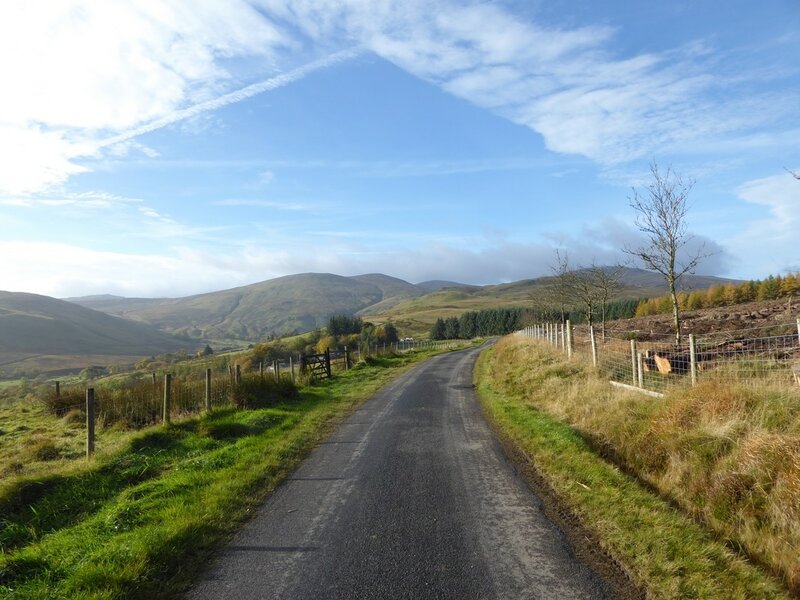 The route today would head out from Troutbeck Head to Dowthwaitehead and then summit Birkett Fell, Hart Side, The Dodds and return to High Row via Randerside and the Old Coach Road. 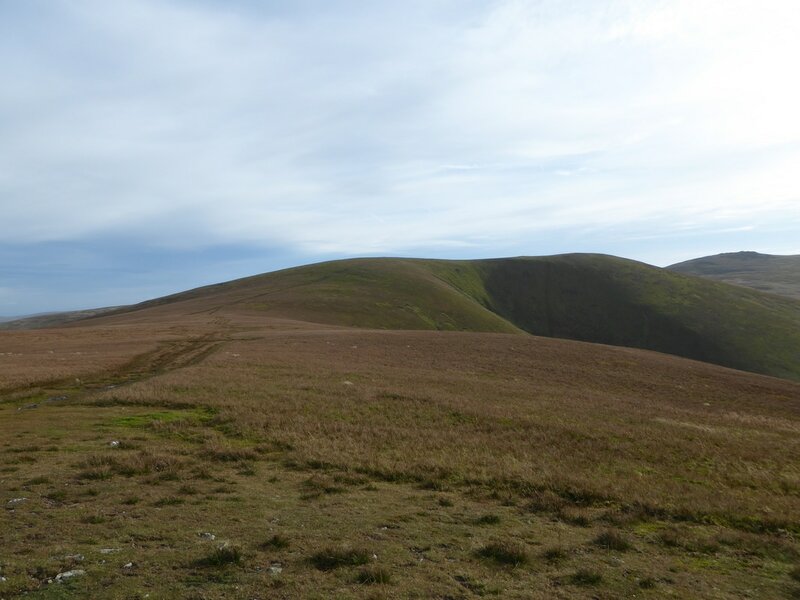 The walk can be made longer by carrying on from Great Dodd to Calfhow Pike & Clough Head to reach the Old Coach Road via White Pike. 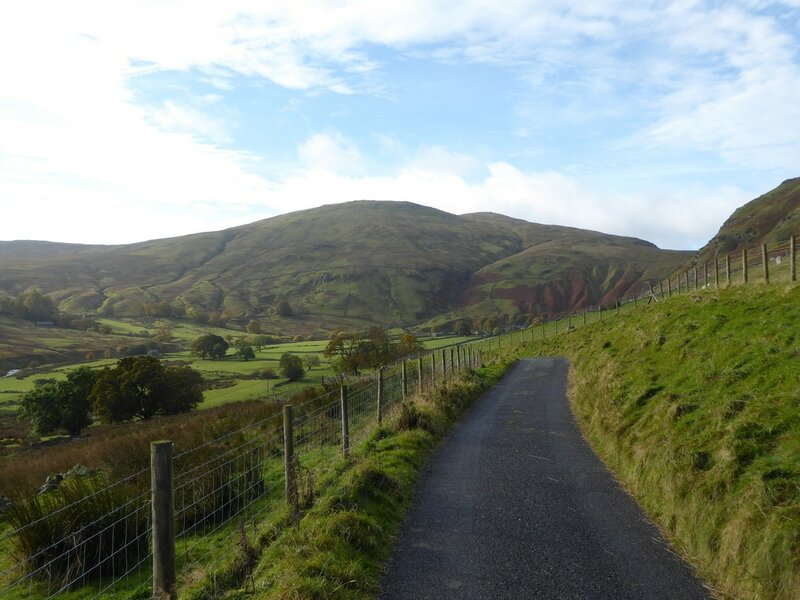 The 2 miles from Troutbeck Head to High Row was fairly uneventful and is mainly walked along forest track and a very quiet road. 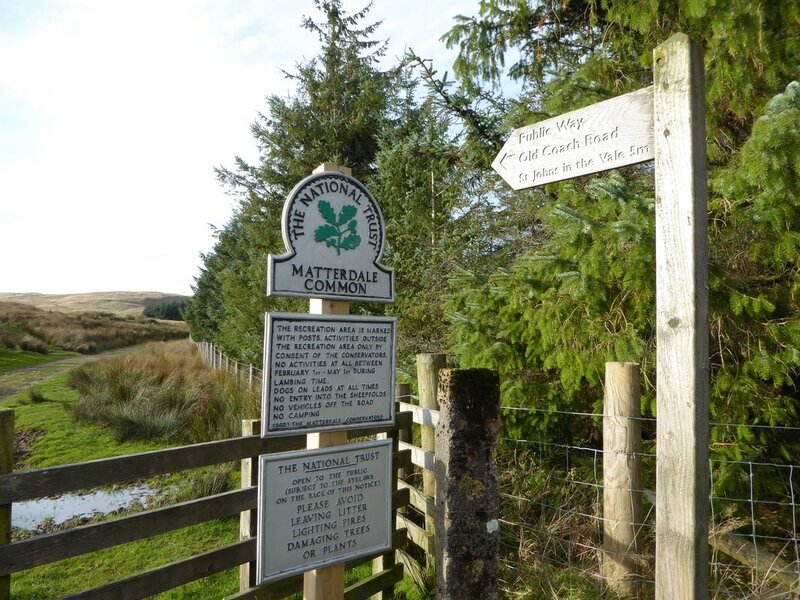 Reaching High Row we carried on down the road to arrive at the small hamlet of Dowthwaitehead to where a path heads over a small bridge on to Watermillock Common. 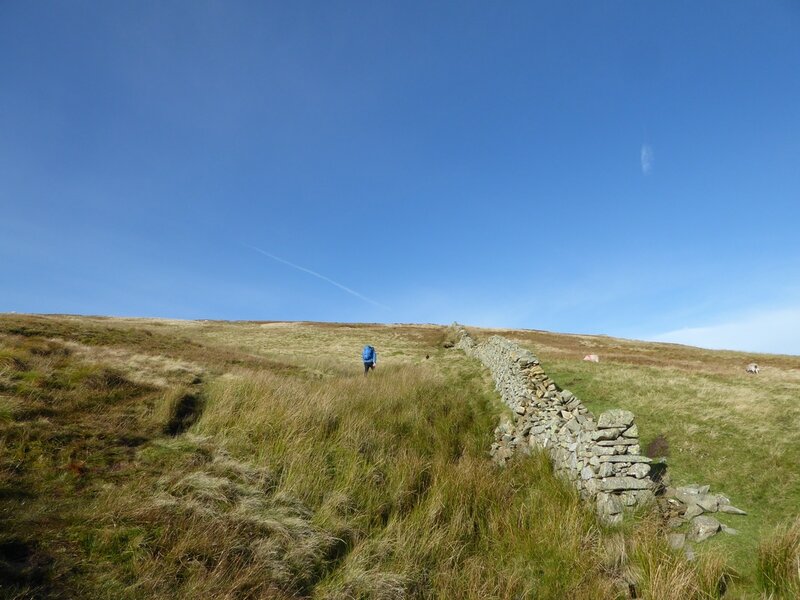 From here the path became a tad boggy but nothing too onerous and we soon arrived at a wall coming up from the northern end of Sheffield Pike. 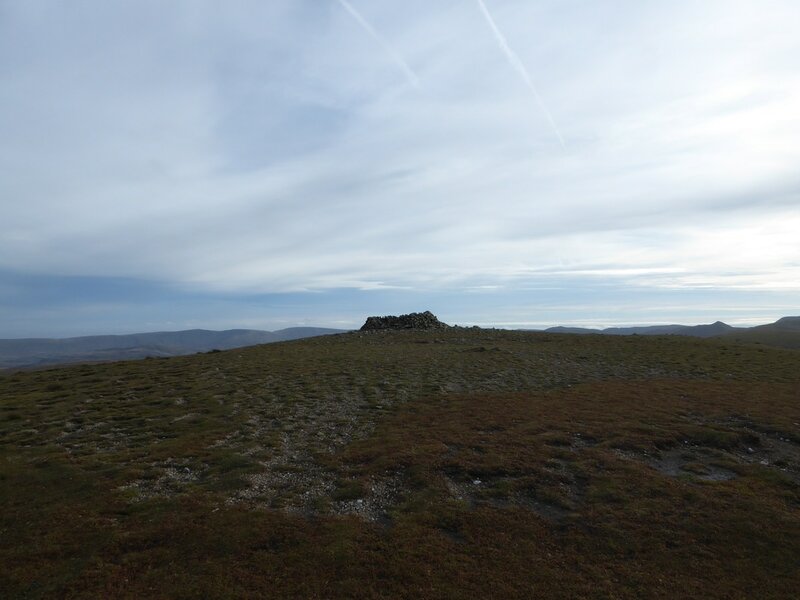 Crossing the wall at a stile we were now on its left hand side (although the wall can be crossed easily a bit further up at a gap) and followed the wall up steeply to reach the summit of Birkett Fell and a large cairn with an engraved plaque. 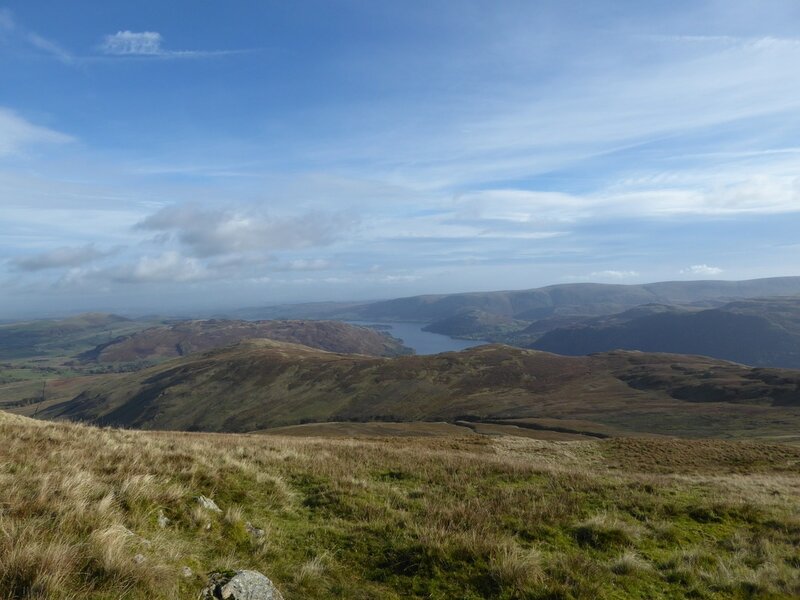 From Birkett Fell the next summit of Hart Side was clearly visible and we reached it via a carpet like grassy path that started off level and rose gently to reach the top. 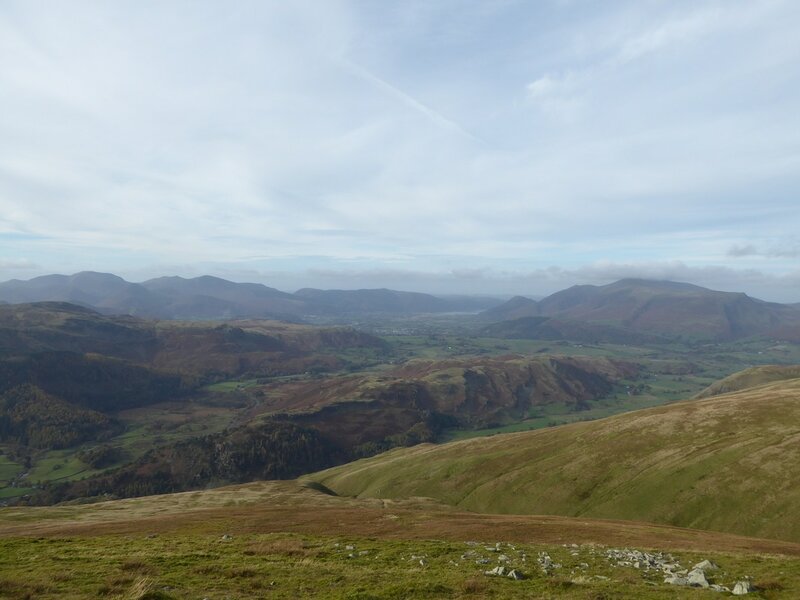 From Hart Side there is a wonderful view of The Dodds and beyond and we could see our path to Stybarrow Dodd stretching away to the south west. 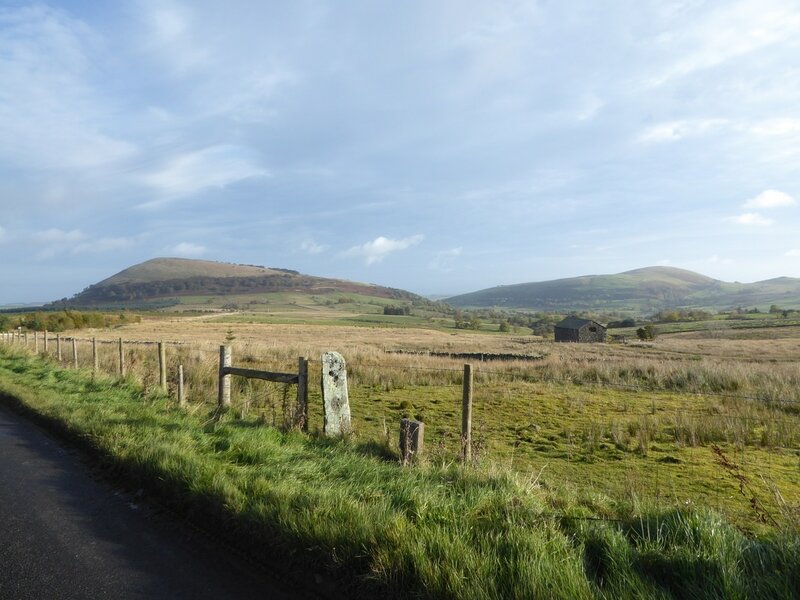 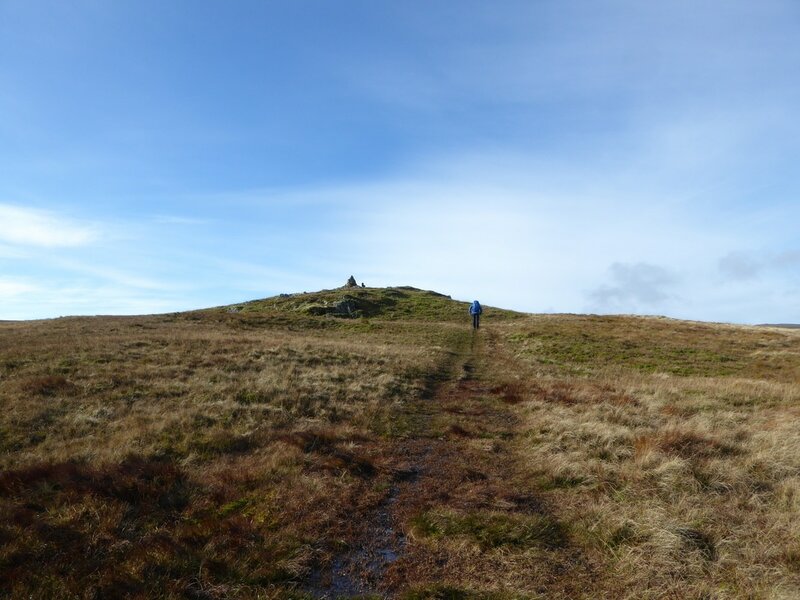 There are two paths visible to Stybarrow Dodd - one slants away to the right to reach the summit via the shortest way or there is a path to the left that visits the Birkett of White Stones on Green Side. 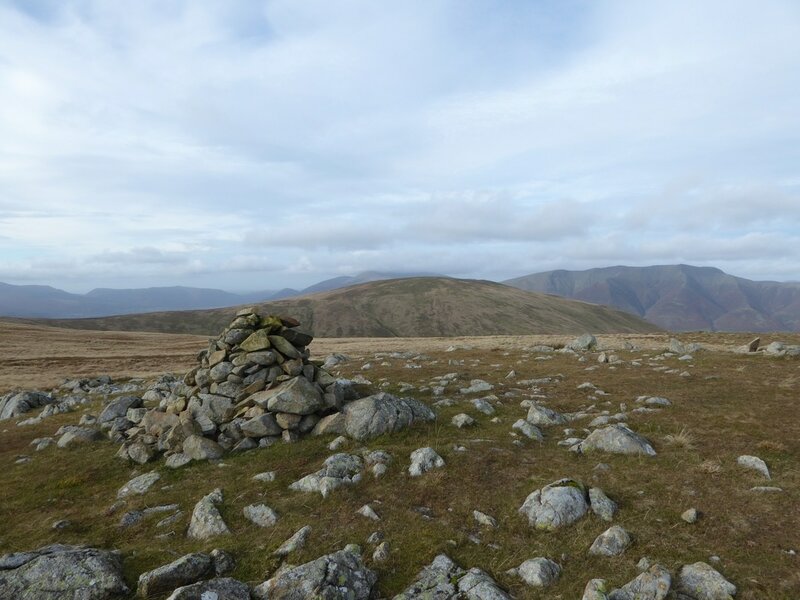 We chose the latter, subsequently leaving White Stones to rejoin the right hand path near the summit of Stybarrow Dodd. 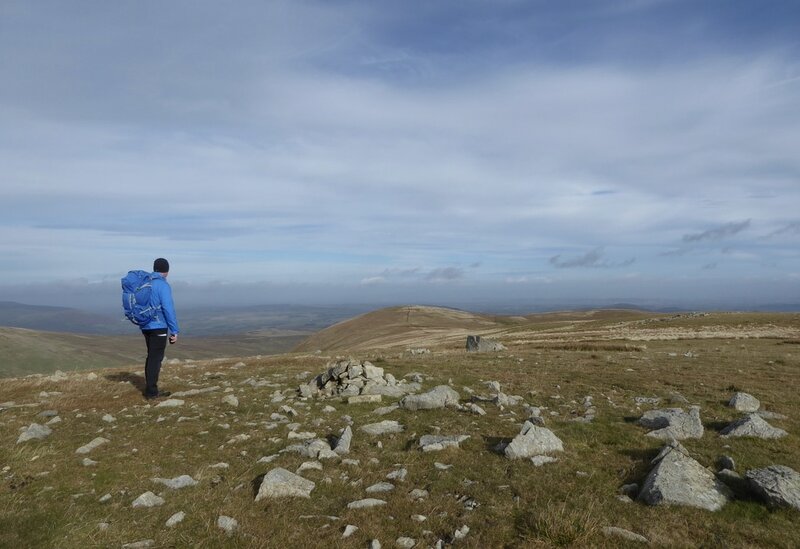 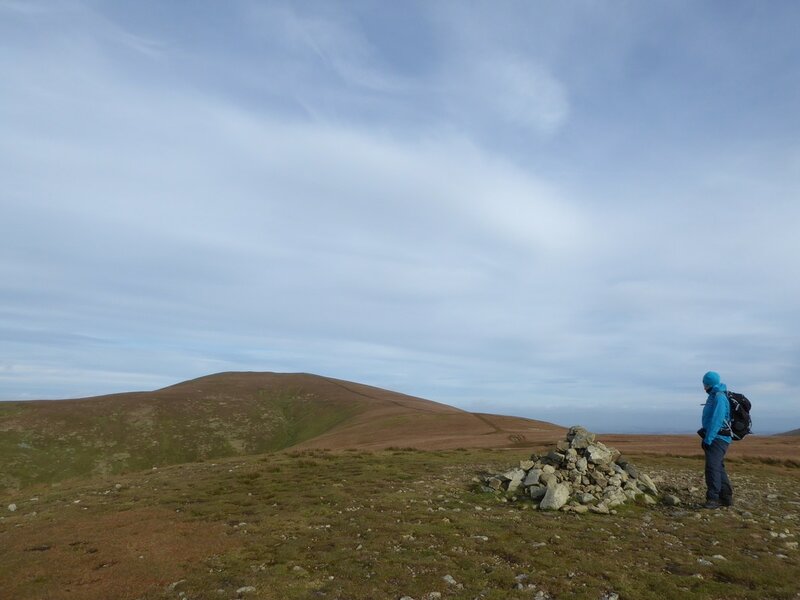 Stybarrow Dodd's summit is a flat expanse adorned by a cairn with a wind shelter to the north east. 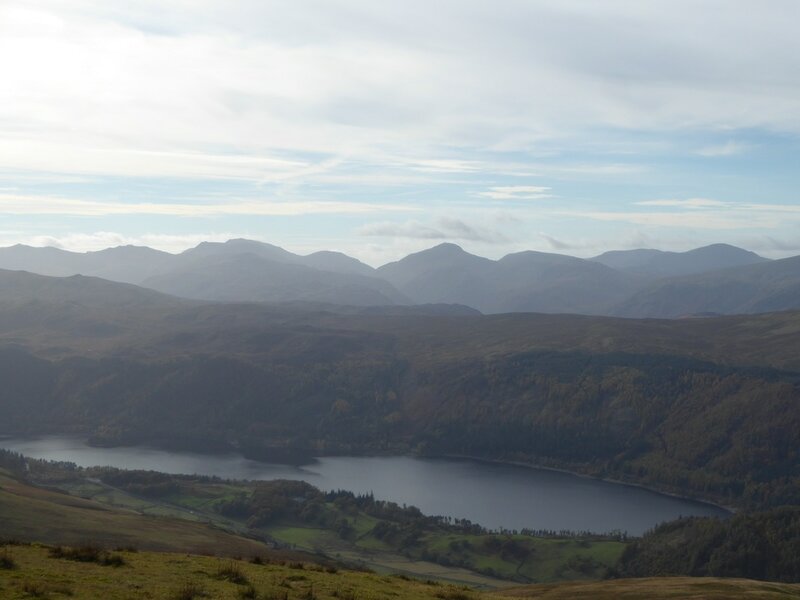 There are a couple of options from here and we chose to descend slightly on another grassy path to reach the summit of Watson's Dodd - there are superb views here for very little effort - over to Thirlmere and beyond plus Skiddaw & Blencathra. 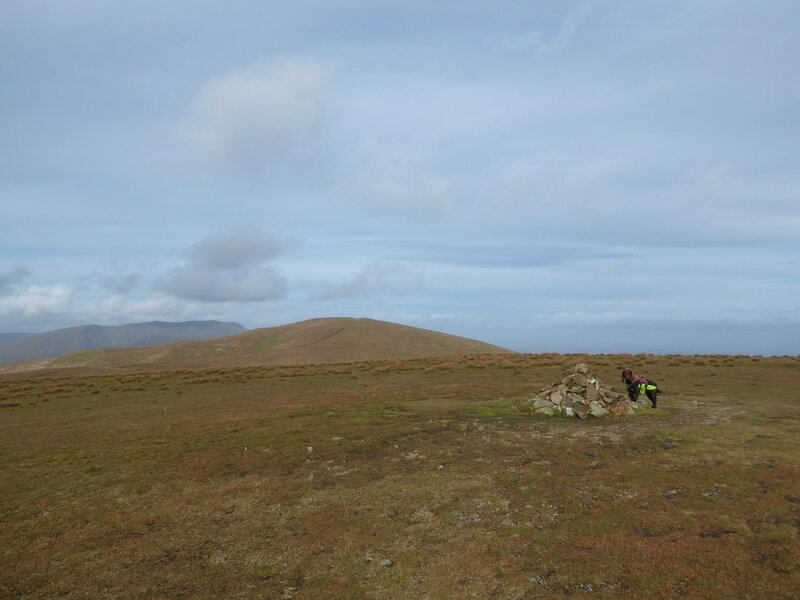 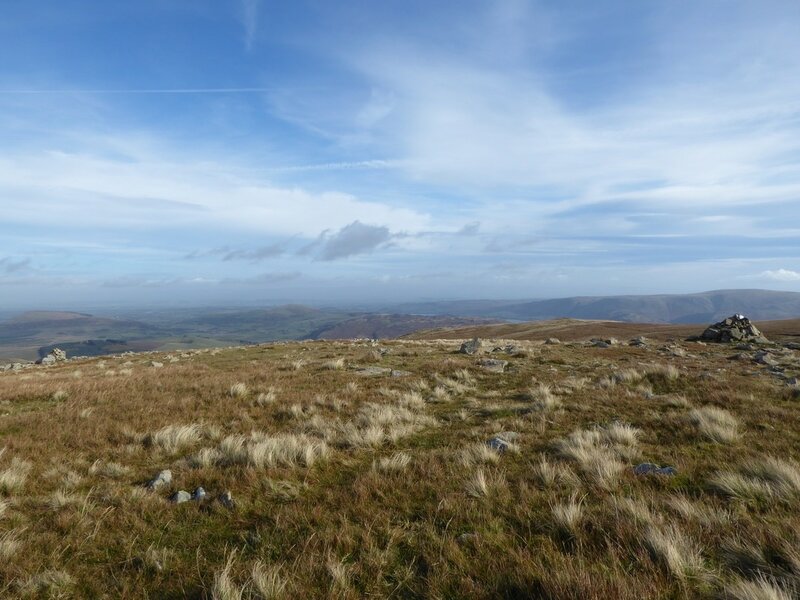 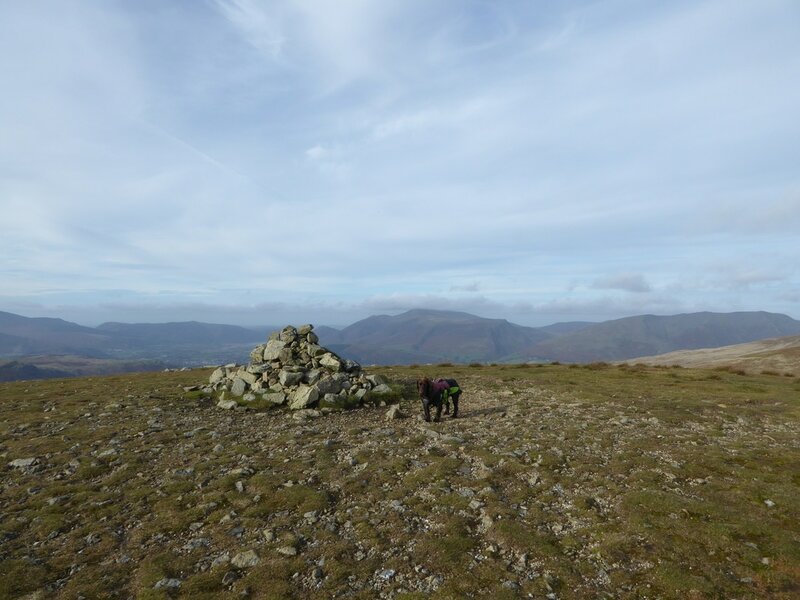 From the summit there is another easy walk on a long, gently sloping path to reach the dome like summit of Great Dodd - again there is a cairn here plus a wind shelter to the south of the summit. 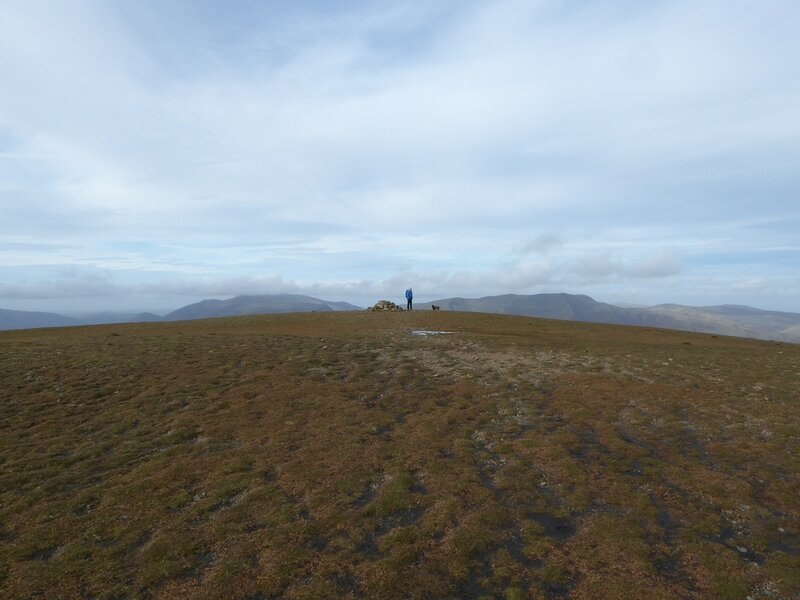 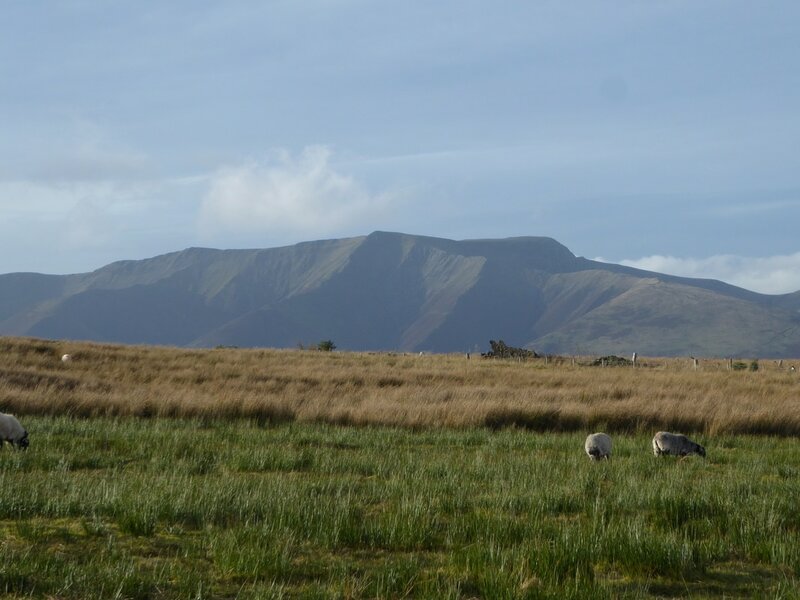 More great views aplenty from the summit, particularly to Clough Head & Blencathra. 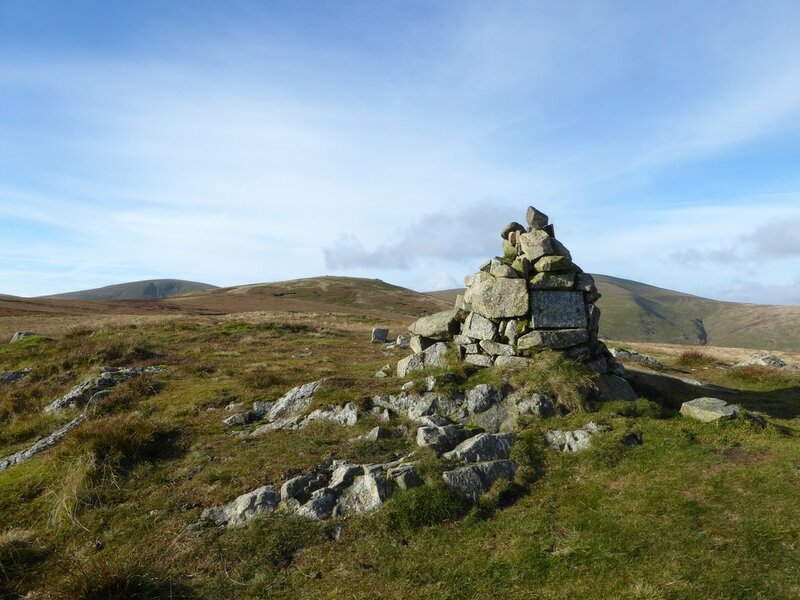 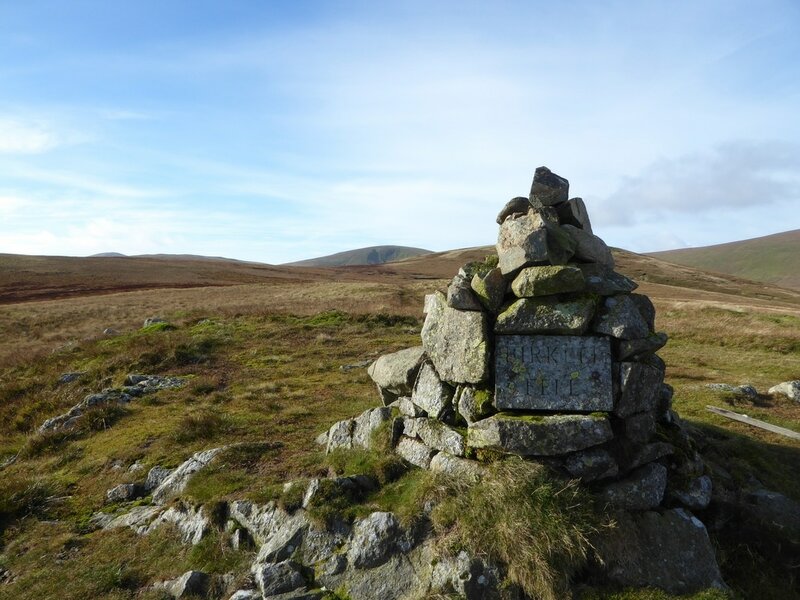 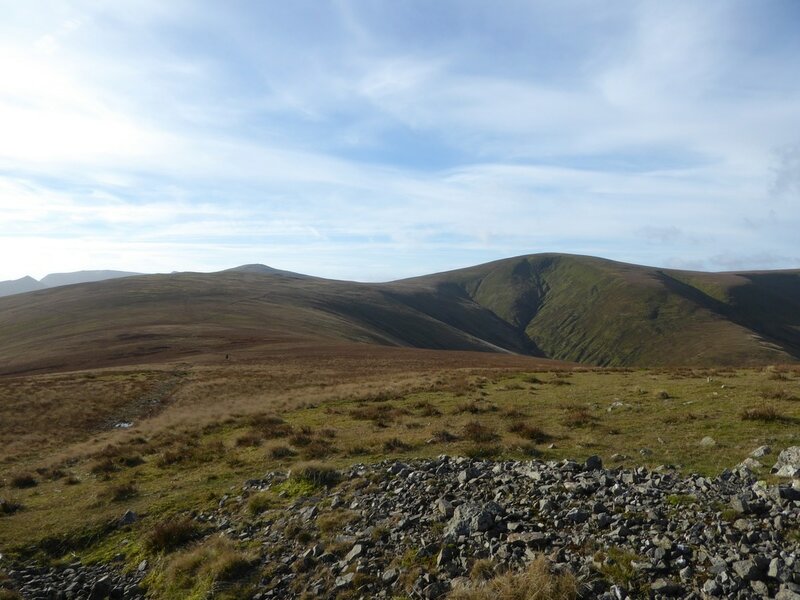 From Great Dodd there is the option to make the walk a few miles longer by heading due west to Little Dodd and then north west to Calfhow Pike and then on to Clough Head. 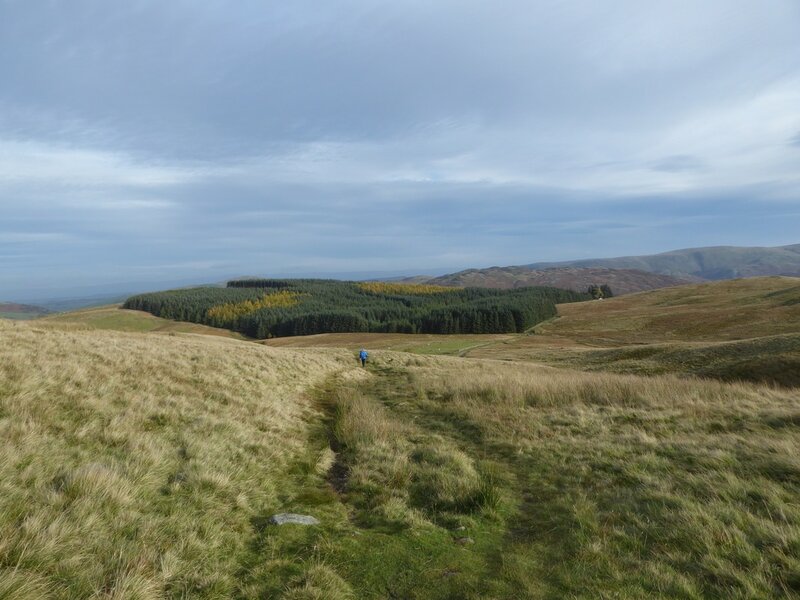 However we decided to head down to the Old Coach Road to the delightful summit of Randerside from where we descended via an occasional boggy path to reach the Old Coach Road at Groove Beck. 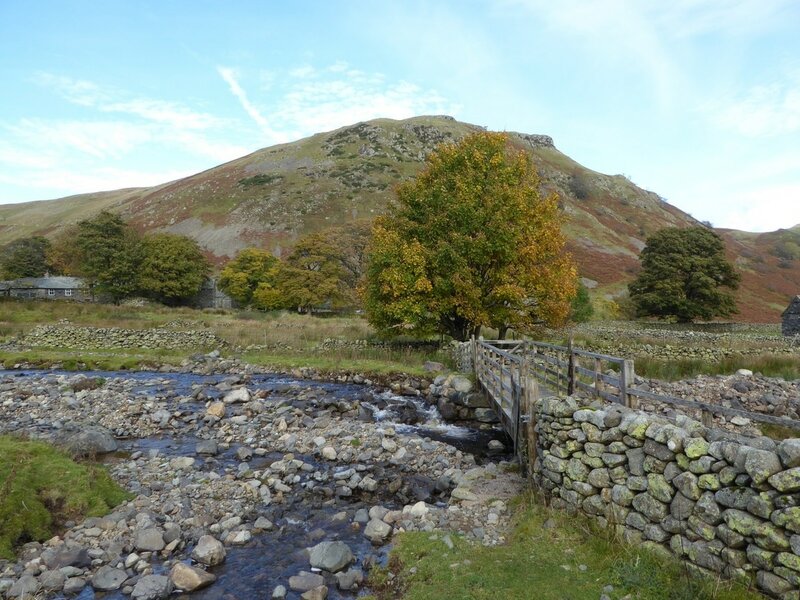 The path junction at Groove Beck is a lovely little spot for a break and we therefore did just that before walking the half mile or so to High Row. 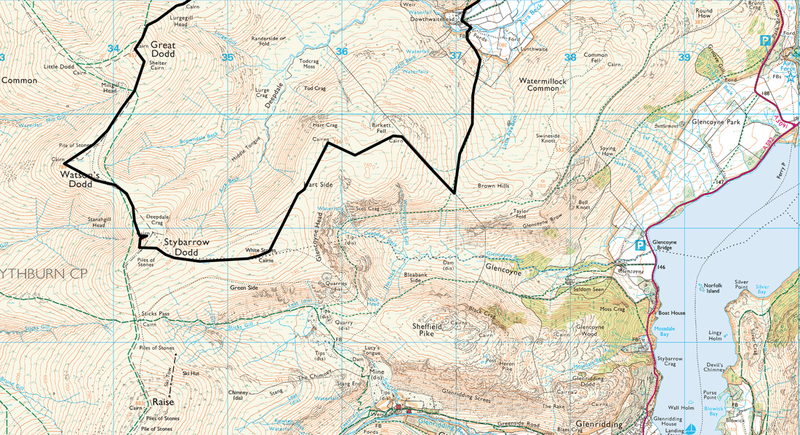 It was now a simple case of retracing our outward route from High Row back to our caravan at Troutbeck Head. 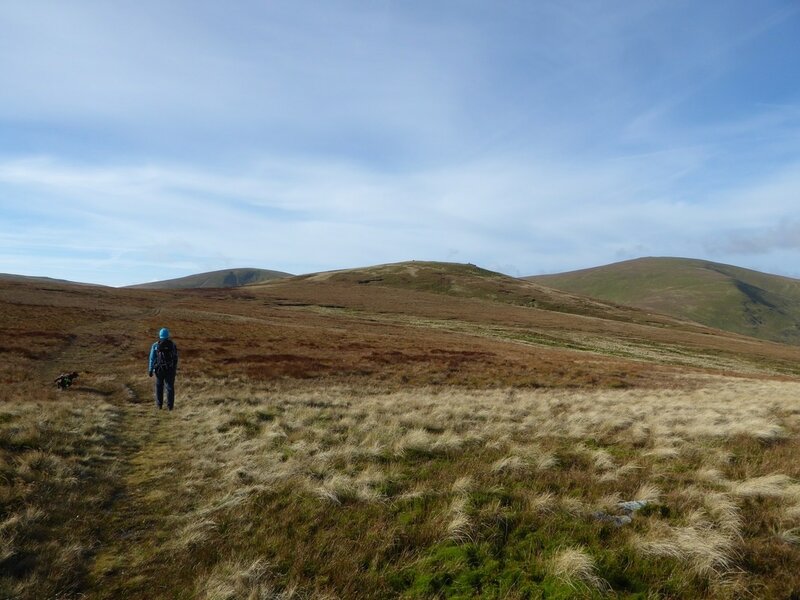 Any day on The Dodds is a great days walking - considering this was a Friday and a pleasant day to boot we only saw 1 other walker. 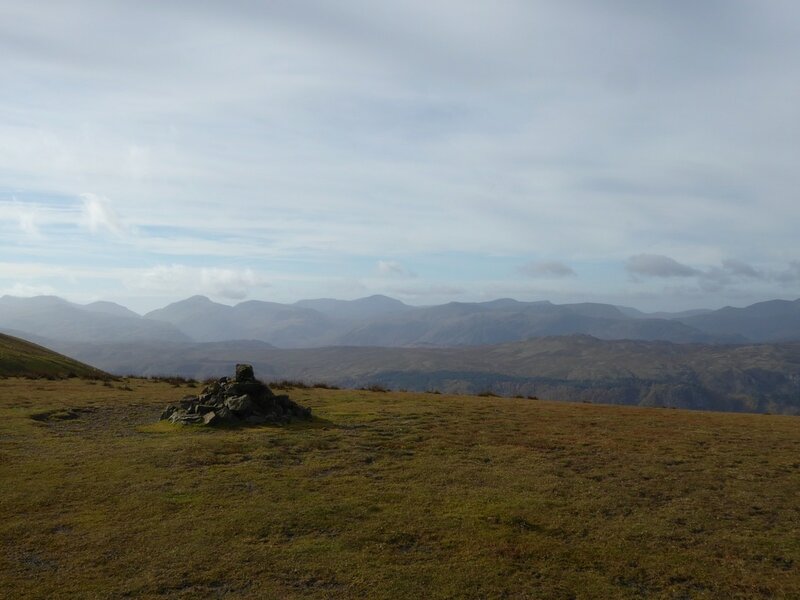 Whilst The Dodds lacks the ruggedness of other parts of Lakeland, they still provide high level ridge walking with a remote feel and superb views. 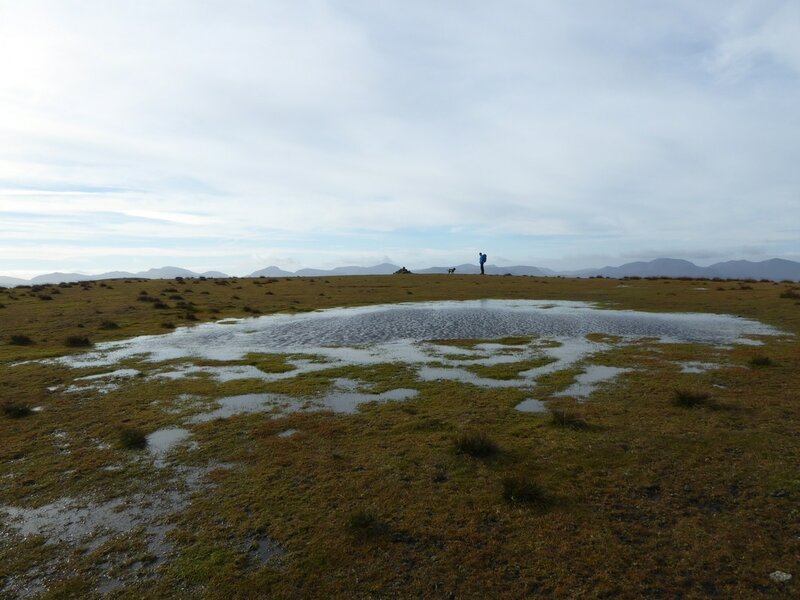 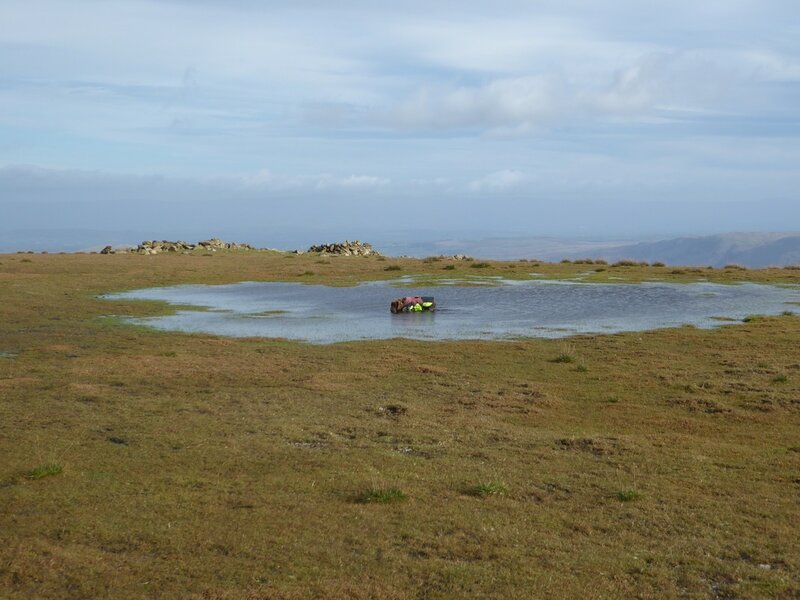 This area on Stybarrow Dodd's summit is normally dry in the summer but today was a doggy swimming pool.